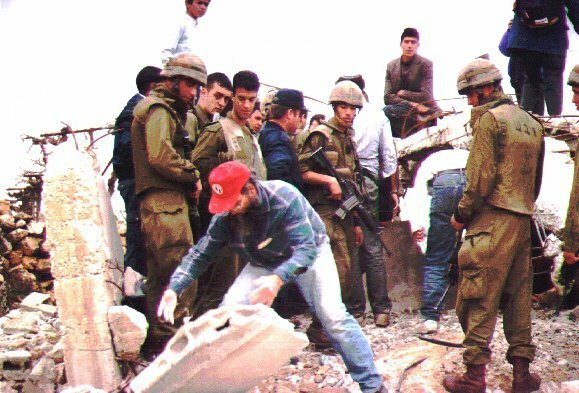 When Christian Peacemaker Teams responded to a call from Palestinian Christians in 1995 to document the 40% increase in settlement expansion since the signing of the Oslo accords, they did not predict that twenty years later they would still be working in the West Bank. Indeed, the organization would have been less willing to consider the proposal drawn up by Kathleen Kern and Wendy Lehman that CPT up a short term project for the summer to address Israeli settler violence on the streets of Hebron, if it had known CPT would not leave. It is a question the wider CPT organization has asked itself in Colombia, Iraq and in its work with Indigenous communities in North America, and the changes of the Palestine team, in many ways are mirrored throughout the wider organization. The team pays more attention to local leadership. It no longer holds its own public witnesses as it did in the early days. It began to take language study more seriously in 1997, although as its workers were denied entry, sending them away for three months of language study had to be re-evaluated. Long term workers with CPT Palestine, some of whom started in 1995, are often asked where they see hope, as the most right-wing Israeli government recently ascended into power. Frankly, most of them would rather avoid the question, because they remember a time before the children and teachers had to walk through checkpoints to go to school in Hebron, and before the Old City economy in Hebron was quite so devastated as it is now. They remember a time when they had neighbors in the empty buildings across from their apartment, and when they could walk out their front door out onto Shuhada Street, before the Israeli military blocked it up. They remember a time when Israeli groups frequently made solidarity visits to families in Hebron who lived near settlements. So much has been lost, and frankly, “Existence is resistance,” sometimes sounds hollow when one sees all the empty homes, shops and streets, or the buildings taken over by settlers in Hebron. But it also helps to remember that the Occupation is ultimately unsustainable. Israel’s military Occupation of the West Bank must end some day as Apartheid in South Africa had to end. The question that Israelis and the international community must ask is how many Palestinians and Israelis must suffer and die between now and then.